I installed my EDC from OneUp last night. It's pretty awesome! 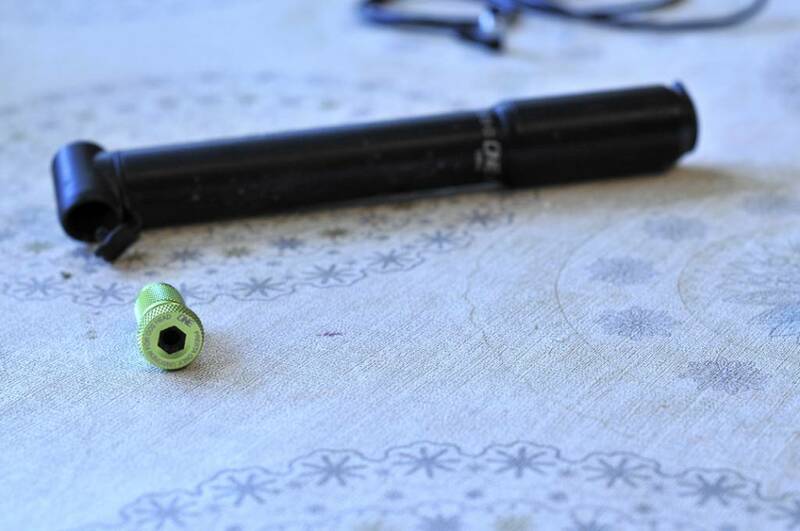 I also drilled a small hole above the CO2 cartridge area and tapped it to hold a Dynaplug insertion tip. In the bottom storage area, I have a Park TB-2 emergency boot and 2 zip ties. Last edited by RancidSLP; 07-06-2017 at 06:35 AM. Pretty sweet! I wouldnt mind the pump version. does the tool itself rust? what is the pointed nail like thing at the end? 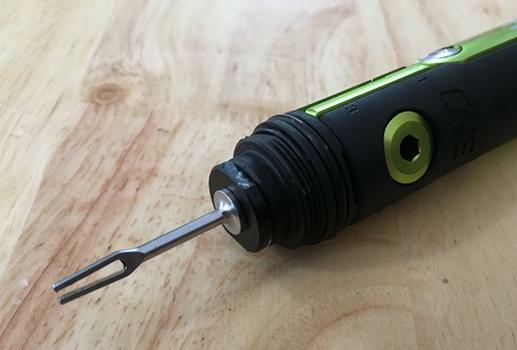 One Up recently sent MTBR an EDC tool for testing. I have the tap, but didn't want to put threads in a review bike....so I'm running the pump version. So far, I couldn't be happier. You can check out a full review (plus dorky video) here on MTBR. the only gripe here is that if you don't have the 1up pump, you'll have to carry a separate co2 dispenser as it does go in the steerer tube. I've heard that complaint from a number of people and I find it surprising. A C02 is pretty small. It takes up no room. Why not just duct tape one under your saddle? Considering how handy this tool it, I think writing it off because it lacks a C02 head is a mistake. please don't get me wrong - it's a great kit from 1up. 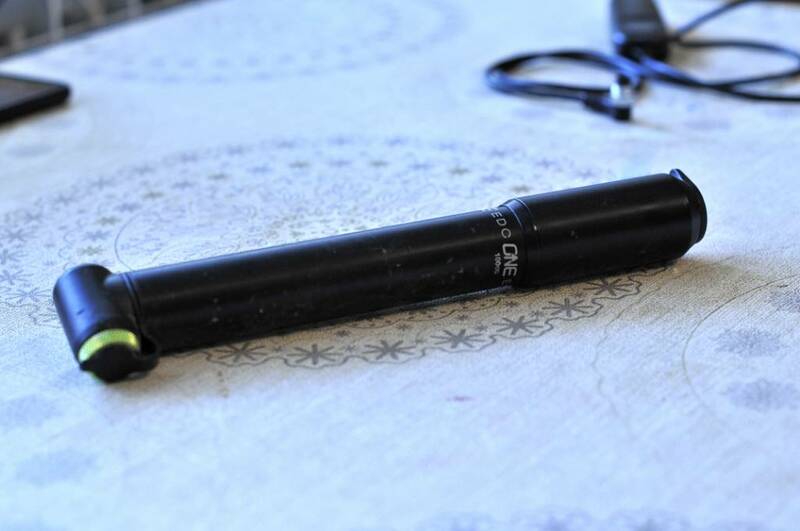 the lack of the co2 cartridge is trivial and can easily be worked around, but having the option for it be included in the steerer would be great. I have a tube, CO2, and CO2 head on my seat with a Backcountry Research strap. I received mine today, the large oumo version. I'm quite impressed with it, a lot of thought went into the design to package it all in there. I have an extra quick link, small length of chain, chainring bolt, spare valve, 2 x park glueless tube patch and 1 x park tyre boot in the storage area. This tool is absolutey ingenious. 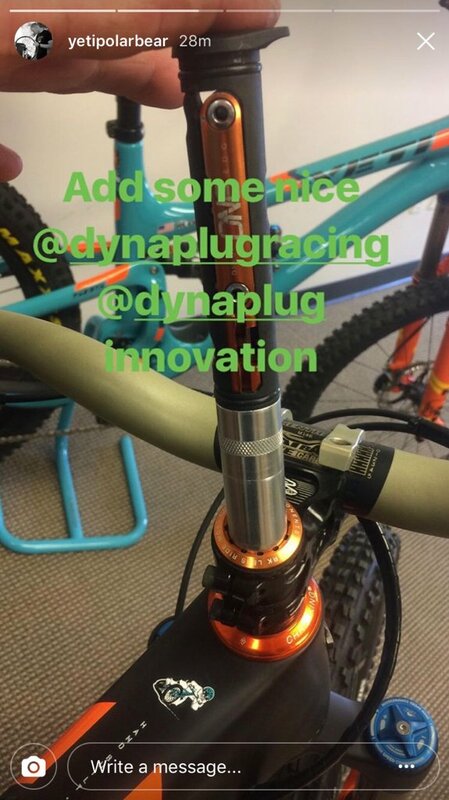 OP can you re-post your photos with the Dynaplug tap? Debating between this and the All In multitool. The thing thats got me concerned with this is that a nasty drop may send it lose from my steertube, and the problem with the All in multi is the lack of a chain breaker. Hopefully that works, not sure why the embed isn't working. Done a couple rides with mine and as an exercise worked on my bike with it. I got the 70cc pump version, 100cc out of stock. Was a little concerned with having the tool pop out of pump or pump come out of bottle cage clip. So far no problem, survived a good crash too. The retaining rings and clips are pretty tight. The tool itself is nicely designed and constructed. The allen keys are quite tight tolerance, if the fastner is rusted it has a hard time going in. The 2.5mm is pretty useless though, the 2 & 2.5mm is combined doing a Devo hat thing. I don't think any fastener with 2.5mm hole is deep enough for the tool to work. Doesn't on my grip clamps. The tire lever actually worked. 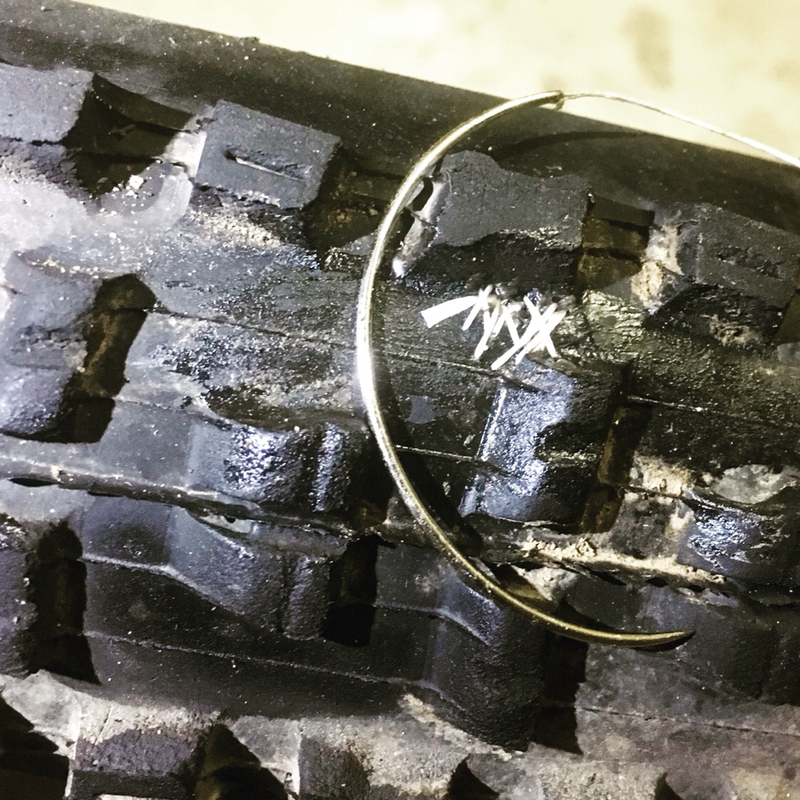 If you have a really tight bead then it might be difficult, but I had no problems with my tire. Didn't try the 8mm but verified that it does fit. It'd be pretty difficult to get amount of torque required for that size, but it might work for emergency. Didn't try the chain breaker or quick link breaker yet. Did improvise jamming a bunch of the tools in to undo SHimano crank preload cap. I wish one of the spoke wrenches fit presta core, but just a little too small, I might take a file to mine as I don't foresee using the largest spoke wrench size for spoke. The pump is likewise nicely designed and made. 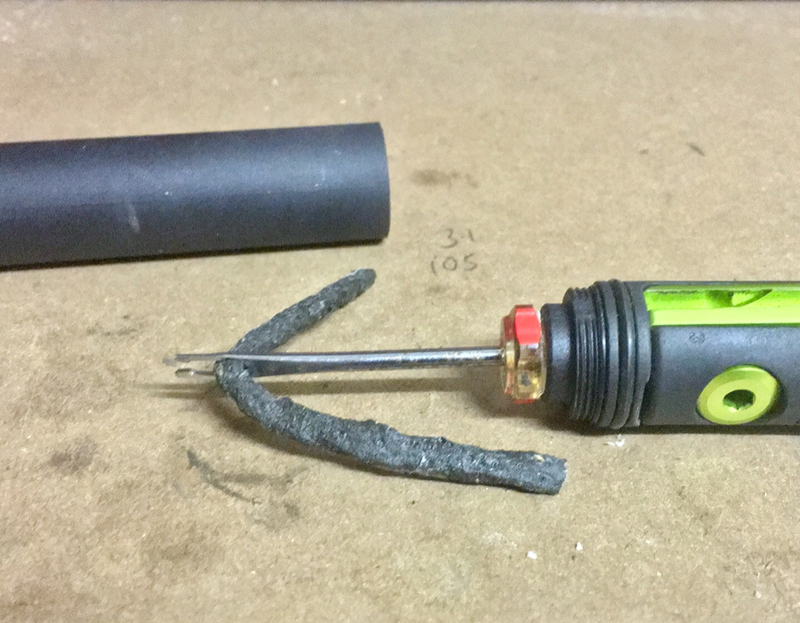 It trips people out how small it is, where the tool just fits in it, but still functions as a pump with the tool still in it. Not going to get a tire up to road pressure, I tried pumping up tire I had reduced pressure for trail and it was quite difficult. I'm sure taking a flat or soft tire to rideable trail pressure would be ok. The pump and tool storage are nicely sealed with O-rings and plugs. I'm sure will keep most trail crud out. If you immerse I'm not sure though. As extra insurance against crud and for tool retension, I put inner tube condoms on it. Yes, it covers up its nice machined and anodized aluminum bits with ugliness, but for a $100 piece of kit just clipped onto bike that might not be a bad thing. I'm probably going to mod clip a little so I can put a removable zip tie through it for insurance too, I don't trust the thin rubber "strap" thing to do any retaining in any condition that would make it try and come out of clip. I imagine all the hardened stuff will eventually rust since they're steel. The bits though look like they are a bead blast finish with plating so should resist rust for a while. No nasty drop will send this thing flying. It fits so tight on mine it's a struggle to pull it free with my fingers alone when seated tight. That is F#%king awesome. How did you attach it? Yes the 2 and 2.5 are combined, it does a step thing, but the 2mm top part is about 3mm long. Im debating trying filing down the 2mm to where can just barely use the2.5, but i dont know how well that would work. Well nuts, i stand corrected! I wasnt paying attention, there is a seperate 2.5mm. I guess they did the Devo hat thing to fit the 2mm in the space needed. So in fact, this tool has no flaws, lol! 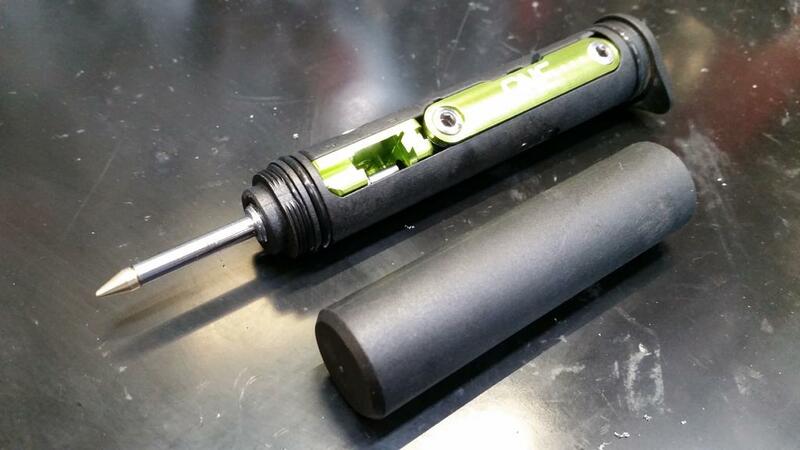 So my only suggestion is to make the largest spoke wrench loose tolerance so you can use as presta core remover. They made the tolerances so tight you cant. Although seperate core tool is so light its not much to carry. Also there does exist valve caps with built in removers. I can tell you one flaw... its green! Also there does exist valve caps with built in removers. 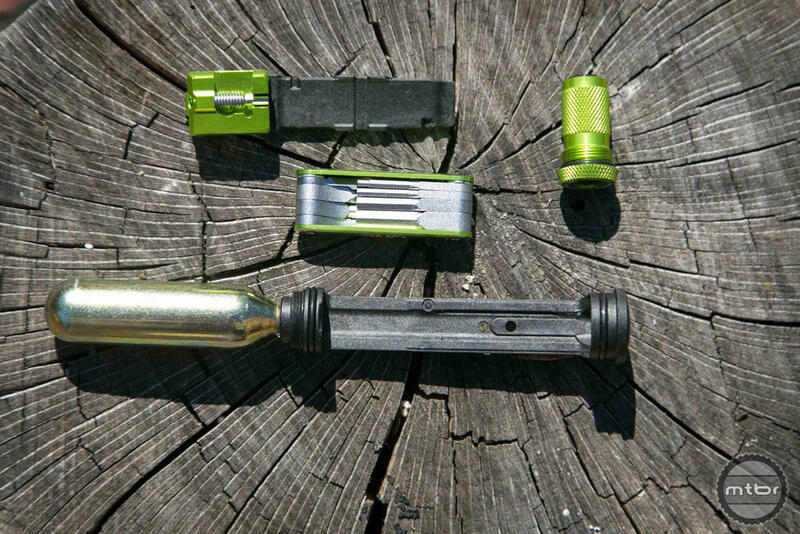 can the dynaplug cap/cover thread into the edc tool? I doubt they are the same size in diameter. Even if it could thread in, the EDC doesn't have the shoulder to accomidate those tools protruding out. 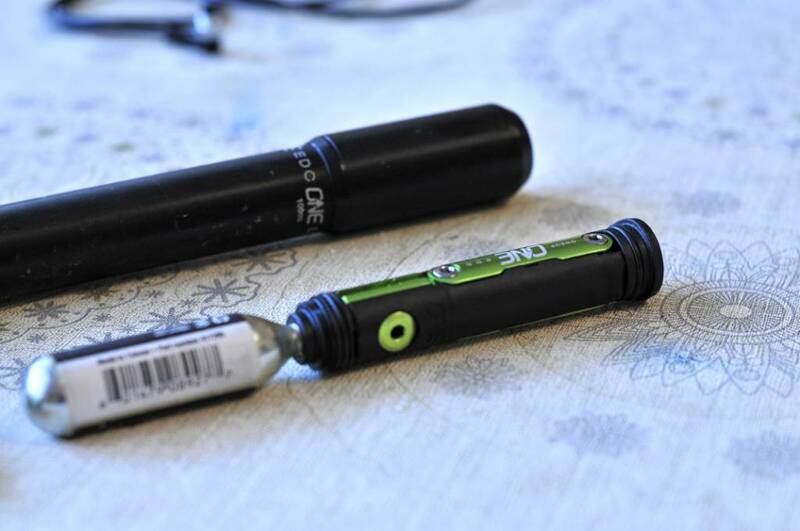 Your best bet would be to wrap those tools/plugs in tissue paper and stuff them into the OneUps tube. I really should pay attention. 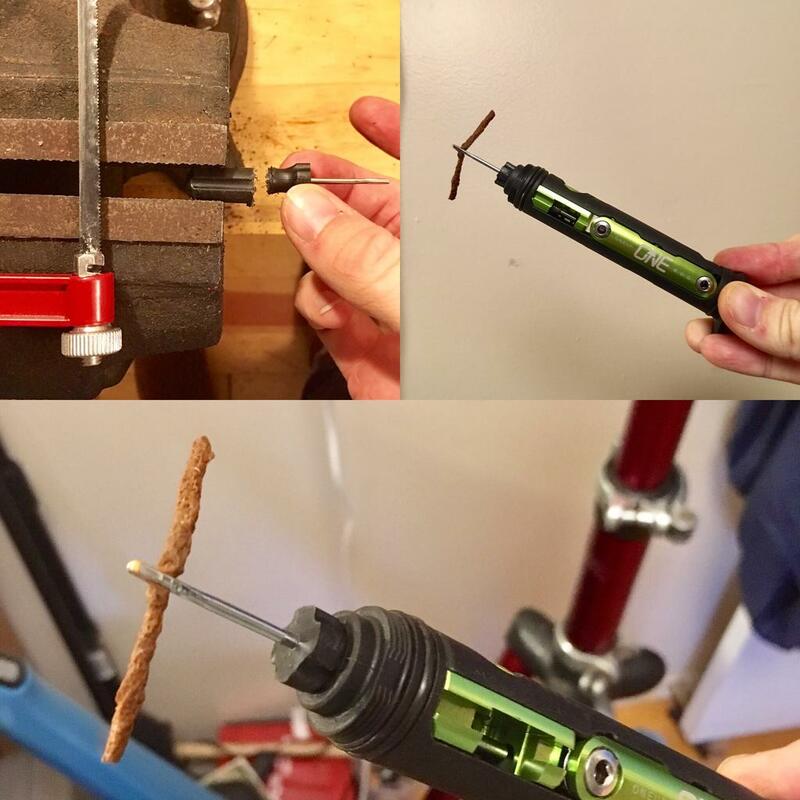 If you go to EDC's site they list Presta core tool, and after some fiddling discovered you can use the gap for the chain breaker pin as a presta core wrench. So really the only thing left that I can complain about is the storage hole for the quick link is a little loose and every time I take it apart I drop one. I can see losing it in the grass, I've lost a 4mm bit in the grass with my other tool setup. A small piece of black electrical tape laid over the edge of the pin hole keeps them solidly in place until you need to pull them out. I'm installing a Dynaplug tire plug in the CO2 spot and can still fit all my extra parts. This thing is perfect and I can't think of another thing I need. did you find a good place to carry the co2 head? in case you have yours on the fork instead of pump. anyone ridden the steerer version out in the rain? how wet/dry were the tools inside? 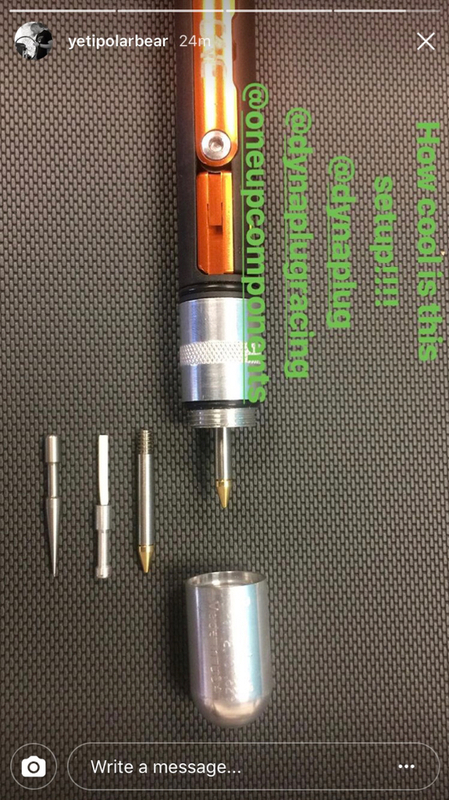 Which dynaplug will fit in the co2 spot? 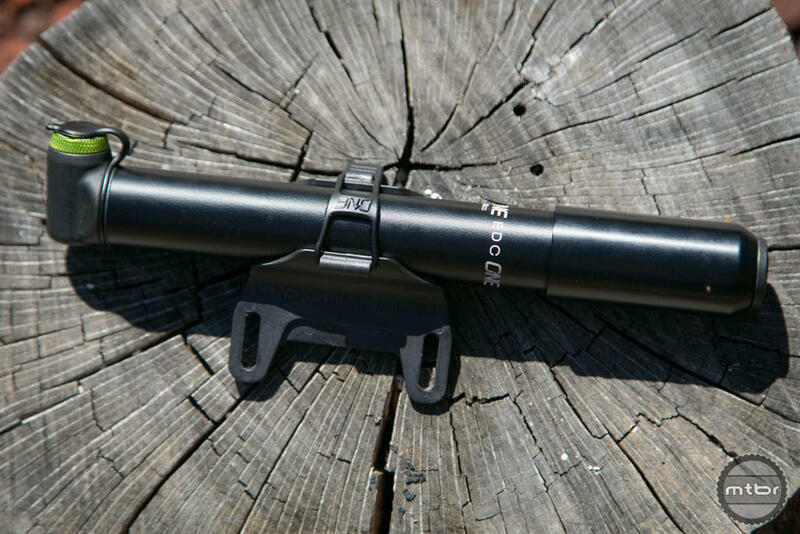 On Instagram, Dynaplug teased an attachment for the EDC. I plan on drilling a hole down the center of a spent CO2 and threading it to match the Dynaplug. Then I'll cut off the tip and install it at the base of the EDC. Instant solid adapter that can be removed for CO2 storage if necessary. I order this kit from amazon last week. edit don't order that kit it's labeled wrong. Last edited by alexbn921; 08-22-2017 at 06:42 AM. i didn't see that... link pls? It was in their stories (they disappear). Finally got my Dyna plugs in. Spent 20 minutes making the adapter and installing it. I have one as well, and love it! Ive used it a few times and its well worth the price to have handy right in your steering tube. I dont carry a pack or any bags on the bike, so it was a no brainer! from yeti factory mechanic yetipolarbear instagram! They sent me a picture of that prototype yesterday. From a usefulness perspective, my hack is 100 times better. I used almost no room and can store all my normal items. Plus mine is lighter. 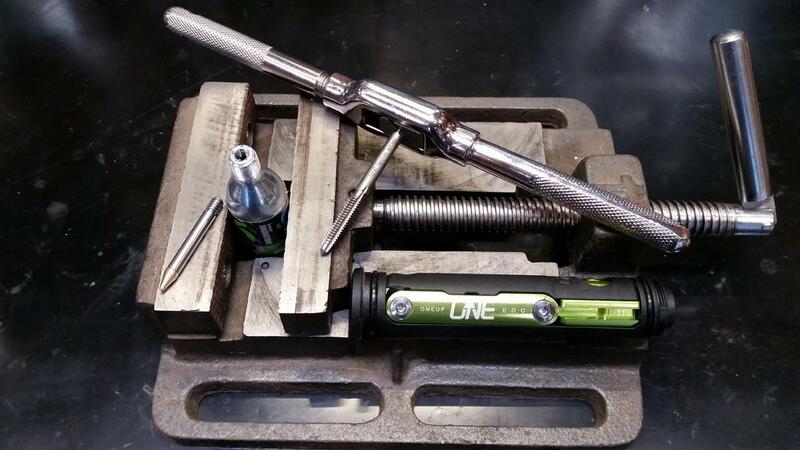 agree using the co2 thread while being able to use oneup storage seems a much nicer solution! dynaplug seems just too big for what it does! i'm guessing orange is a team issue? they only sell green or black. yeah! unfortunately! 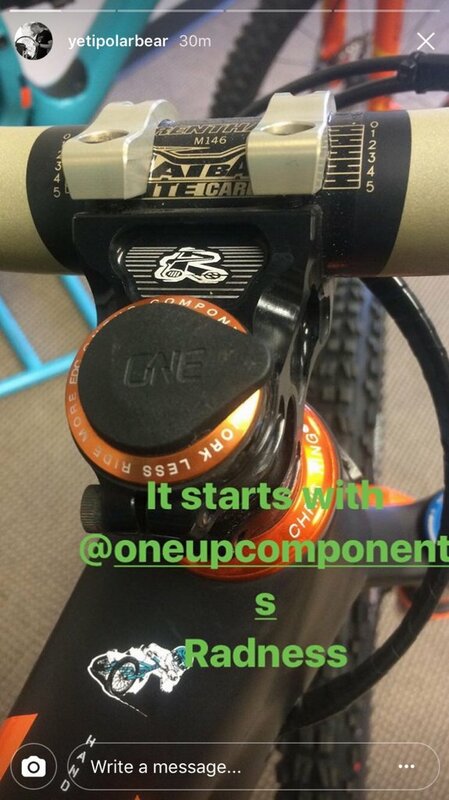 maybe they will release in the future like they did with the chain guide, but apparently team issue is a thing now in the bike industry! I want gold! How about a me issue. Nice, although it seriously makes it looks like a love toy. Quick update, had some difficulties initially using the quick link chain breaker. Turns out it matters which way the link is installed. One way it's very hard to break with the EDC, but the other it pops easy. Doesn't work with Eagle 12spd, their weird curved plate quick link doesn't fit into the EDC groove. Any chance this will fit in the 70cc pump? 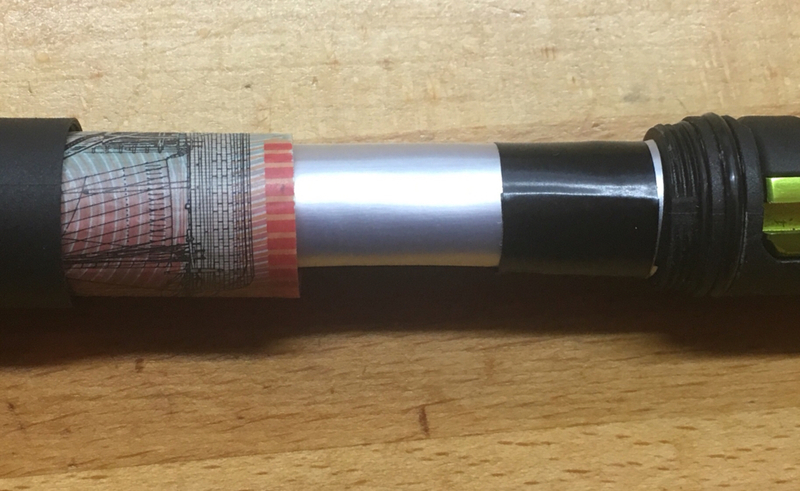 my dynaplug mod would. this will be close. Thanks for the inspirations guys, I went the cheap af route. Hacksawed the standard bacon injector and it threads right in to the EDC. Fits my 70cc pump like a glove. I was considering epoxy, but it isn't necessary. It's in there good and tight. Alright, so if I run the 70cc pump/tool combo and this hack I am 50% there. What is everyones thoughts on the specialized swat seat mounted tube/co2 carrier? Are there better options out there? My reasoning is if the plug does not fix it, I can always drop in a tube. 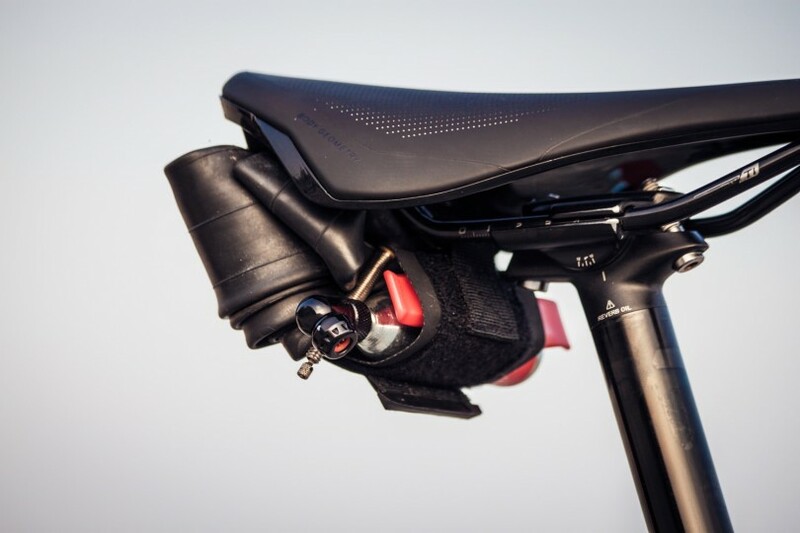 i prefer mounting the tubes in the front triangle rather than behind the seat unless it’s covered. What are you using to mount it? I don’t like carrying stuff on my saddle for a couple of reasons. I don’t like the way a heavy saddle feels. I can feel the extra weight when the bike is moving from one side to the other eg when going through corners or standing up to pedal. I prefer to carry any weight like this as low and central as possible, I don’t notice it at all then. Last edited by iggs; 09-27-2017 at 11:51 PM. 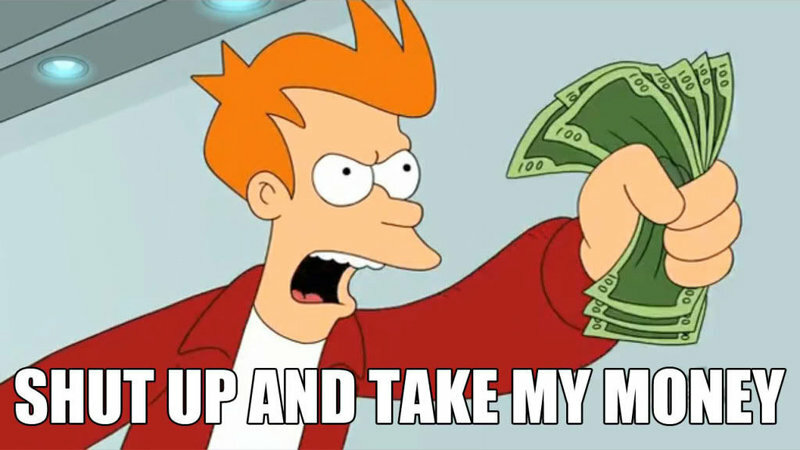 Wow, awesome write up on storage options. This gives me some material to work from. I am planning an upgrade soon and was looking at the 429sl and the element. With the element I think it might fit 2 bottles, swat box, and the one up pump/tool. Nice!! What size tap did you use on the Co2 cartridge? Boom! Thanks again man, so easy! I have had the tool and 100cc pump for a while, and wish I had bought when it was released. Something that is overlooked by people in drier climes is the way the EDC is sealed from the wet. I used to use plastic bags to keep stuff clean and dry, now it's secure except for my tube. That I strap to the saddle rails, wrapped in a nitrile glove. you have a lot of on trail issues? 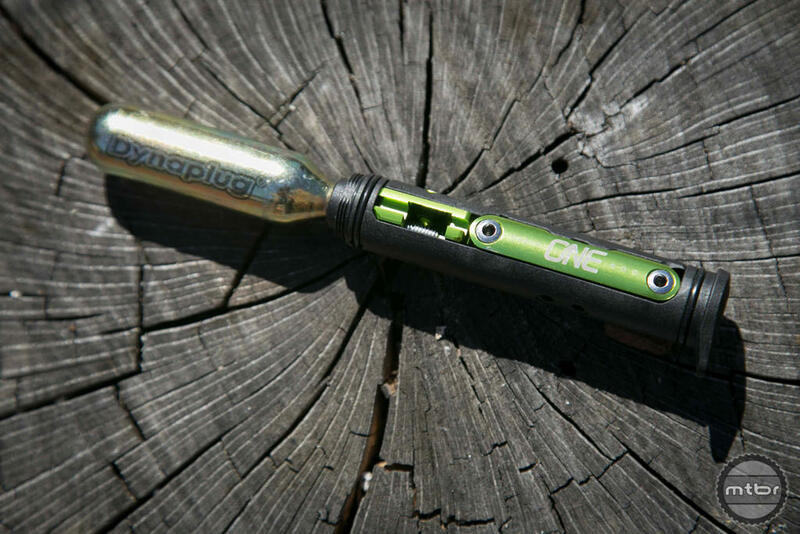 few words about* @oneupcomponents EDC Tool . Pump is 100CC but OneUp offers you smaller 70CC version . 100cc inflates* 27.5 2.35 wheel in less than 100 strokes - impressive performance. 100cc does look bulky somehow. 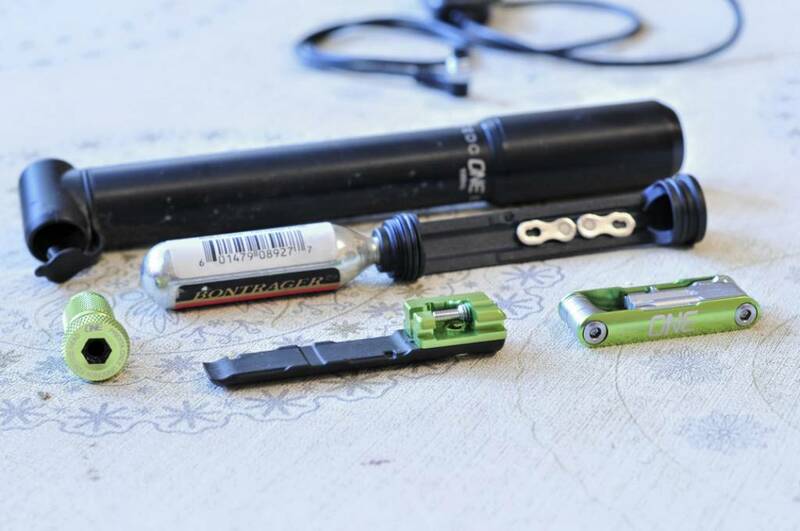 Tool offers you a set of Allen keys but no Philips and flat screwdrivers so you need to borrow one from your trail mate* if need to adjust your rear derailleur . Storage compartment for missing-link is loose and always gets detached when you get the tool out. There is an option for CO2 cartridge or storage compartment for small bits like money, patches* or a spare Presta valve core . The tool is well designed and has best options on the market. It can substitute many other separate tools that you'd need a backpack for. 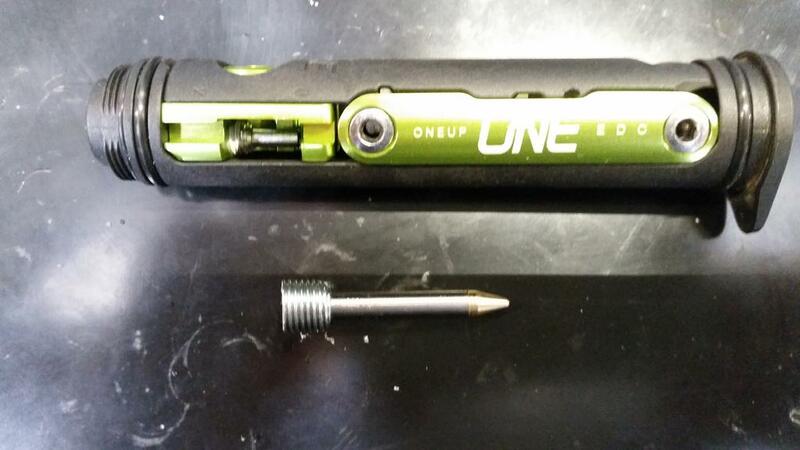 OneUp says that you are able to unlock a missing link using your EDC tool, however I could not. Chain breaker is small and looks like it will not able to brake anything besides itself however I have yet to try it when things go wild with my chain . A small piece of electric tape in the hole for the quick link secures them nicely. The tool also has a flat head screwdriver. The quick link separator is kind of funky, but does work on 11 speed and lower chains. If you need a Philips and flat won't work you could swap out the bolts to hex or carry a small bit/holder in the storage area. I tried the chain tool and it does work. Great point about changing Philips bolts to hex, electrical tape already on thanks. Need to try it on my old spare chains . 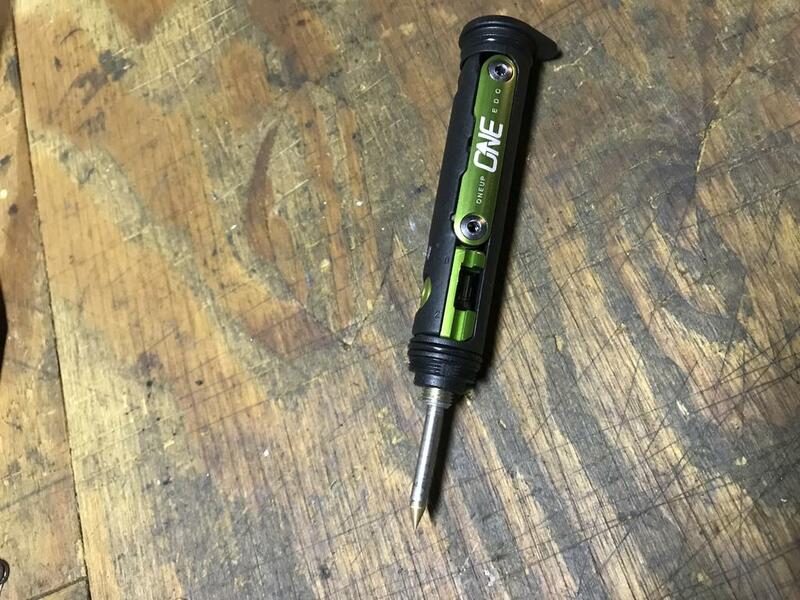 anyone know if you thread your fork, but then one day decide to go back to a star nut instead of carrying the EDC tool (or sell your fork to someone who doesn't use EDC tool), does the star nut go back in easily (with the threads)? You can get an extra top nut to tread in or put a star nut in. It will go in just like the threads weren't there. Last edited by iggs; 04-21-2018 at 05:24 AM. 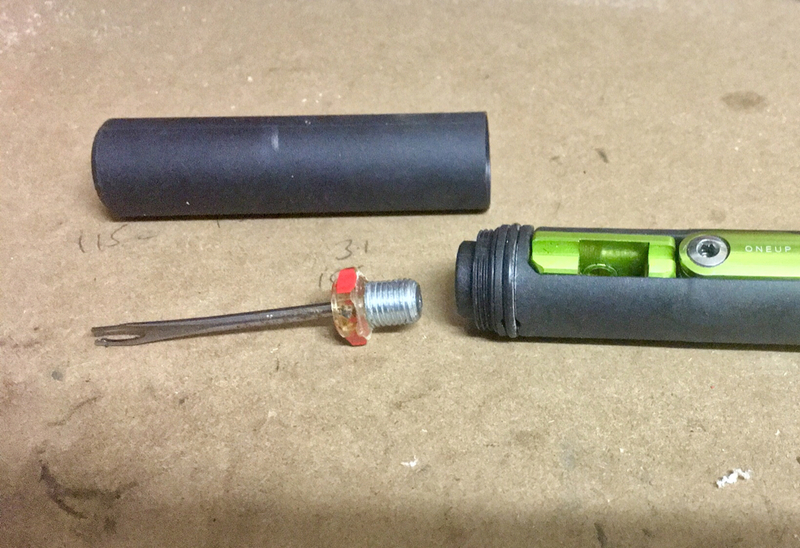 Using a dremel I cut the threaded section of a used CO2 cartridge and butchered a cheap weldtite tool to expose the metal shaft then epoxied them together. I cut a tyre on Saturday and could have done with this then but at least it’s ready for the next time. Yeah and if I was ordering a system I would definitely add one in. This took 20 minutes to make though and I had the parts handy anyway. mine mine MINE! They posted this up two hours ago. Nice little problem fixer to see in the production line OneUp! I wish the had a mod so that the built in link pliers worked with eagle, or eagle used a regular Fing link. 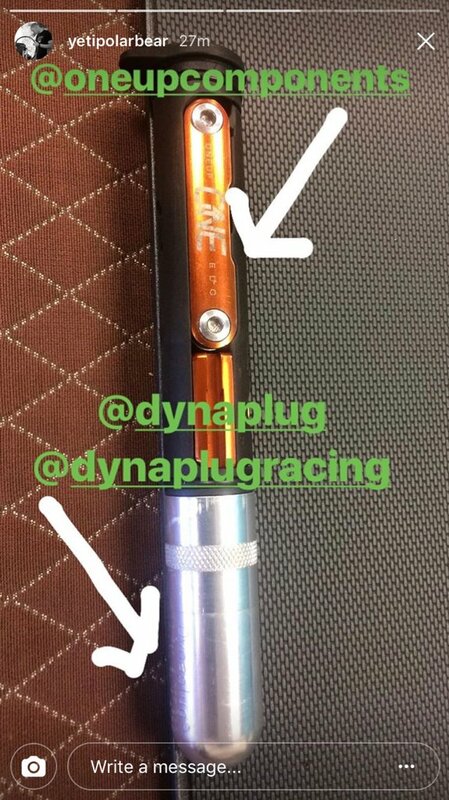 Anyone have both the EDC plugger and the dynaplug racer and can decisively say one is better than the other. Both are similar in price. I have no use for the link pliers and probably won't carry it but I do like that I can put two bacon strips with the EDC if I had wanted to and it's integrated in to the pump. The dynaplug is neat self contained solution. Heads up, attempted to remove a set of pedals with the EDC multi-tool, it did not go as planned. The first one came off easily enough, broke the tool on the second one. We were on a bike trip to Colorado and I only brought my EDC for tools. 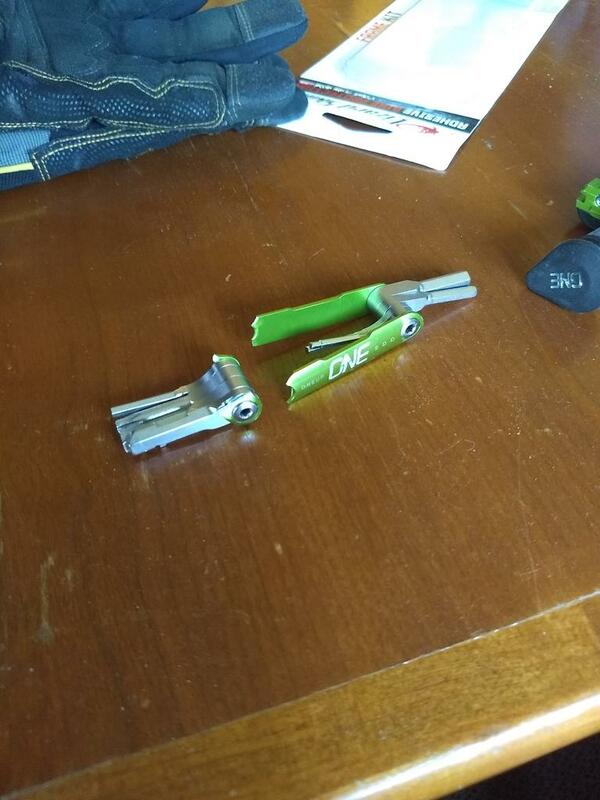 Luckily a buddy had a Crank Bros multi-tool that was stronger. uuhhmm Yeah. This is not the best tool to remove anything with a torque over 70-80. Not really it's intended use though. I don't tighten pedals down that hard, mostly just snug them up. So it made sense to me that the 8mm would be able to handle it. Lightweight tool or not it shouldn't have broken so easily. Oneup took care of me and is sending a warranty replacement. Would this work with the Trek Knock Block stem/headset? You read my mind. Another issue is that you really need to make sure the o-ring seal stays in good shape. My EDC got seriously stuck in my pump after ignoring it for a couple of weeks (still can't believe I didn't need it all that time!). Couldn't get it out on the trail, and ended up mangling the o-ring getting it out. That said, I love the tool and the pump. One of the best multi-tools I've owned. Yup, clean the o-ring and apply tiny bit of silicone/plumbers grease. 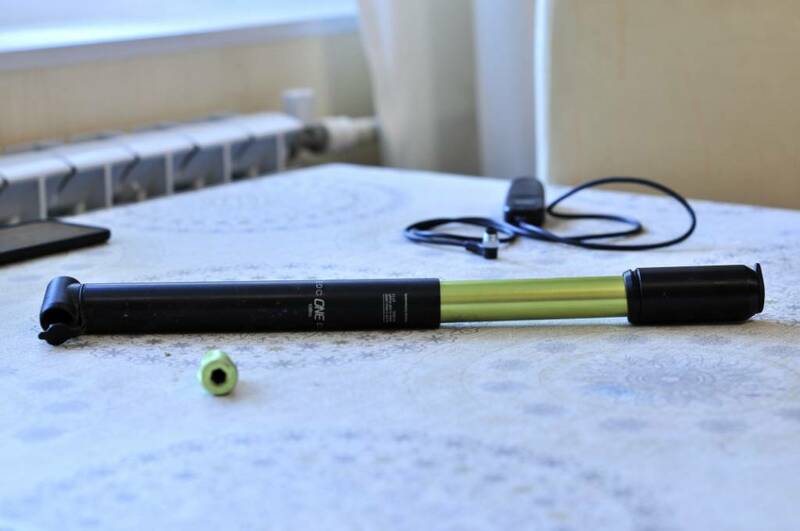 As mentioned by another poster, keep your eye on the pivot bolts loosening, hasn't happened to me, I run the pump option, but it happened to my friend who runs the steerer tube mount. That 8mm, I would use only in an emergency, having delt with removing pedals, even ones I installed myself that I know I didn't over torque, I know will become hard to remove and would most likely be over the capacity of the EDC. The pedals threads are done in direction to tend to be self tightening. The quick link separator works better in one direction, flip around if its not working. For bike trips I pack a separate micro ratchet and one large allen for the pedals for assembly/disassembly. 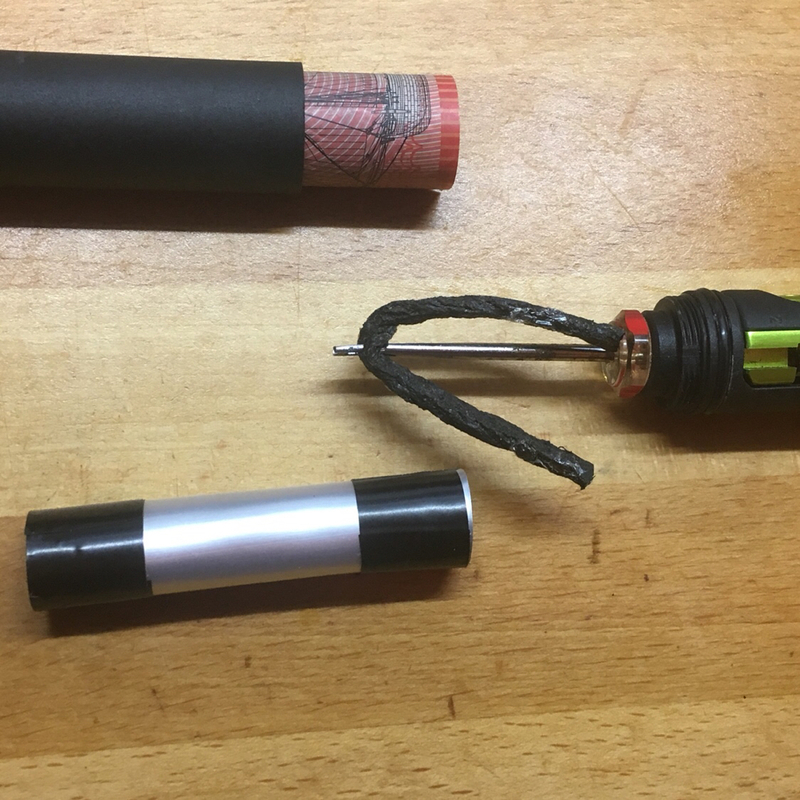 WHile the EDC is good, it is way nicer to use discrete tools when you can. Anyone have issues with the 100cc pump? I've tested it out on a tube and I get no air. It's either pumping the smallest amount of air, or nothing at all. I feel like I can hear air coming out of the handle area when I'm pumping. If I pump it really fast, 1 out of 20 or 30 pumps will pump air into the tube, like it catches and actually pumps air. Either I'm missing something really simple, or it's broken. Sounds like your pump has blown a seal. One Up are usually pretty good with warranting faults. 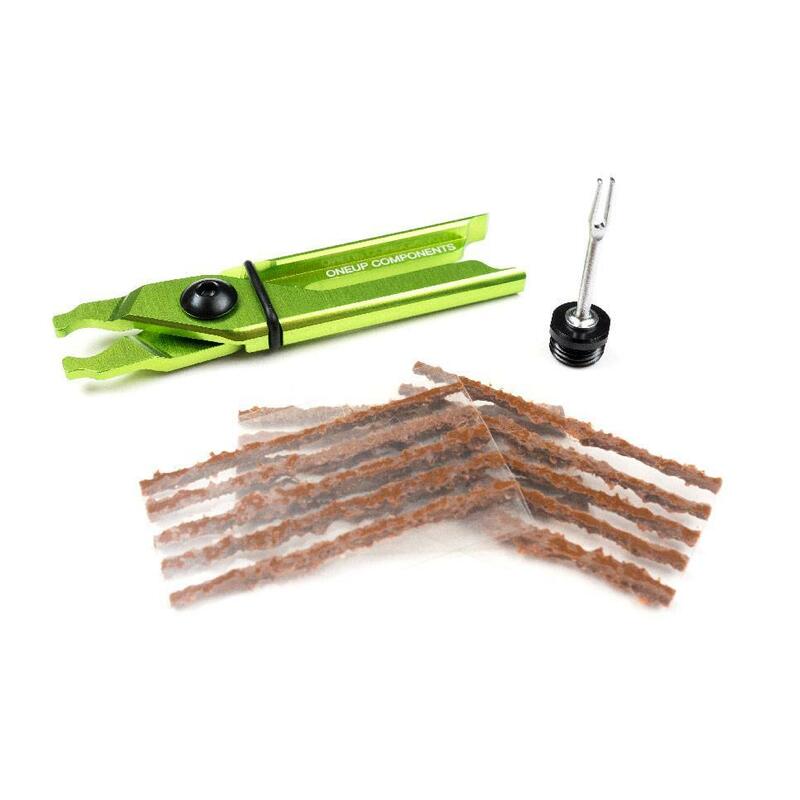 When would one require a set of chain breaker pliers on the trail? Just trying to choose the stuff I need, but nothing I don't. Valid question. For me the kit sells itself with the tire plug. The quicklink tool is nice to have for the paranoid Boy Scout in me. A shoe lace can accomplish the same thing though. Yup, my 100cc pumps like a champ. Your page with all the tips is really nice. However, I'm left with the realization that I still need to carry my mobile phone and car keys and therefore I'm not certain anything short of a frame bag, or a pack will ever work well for me personally. Last edited by dduk; 12-21-2018 at 09:52 PM. 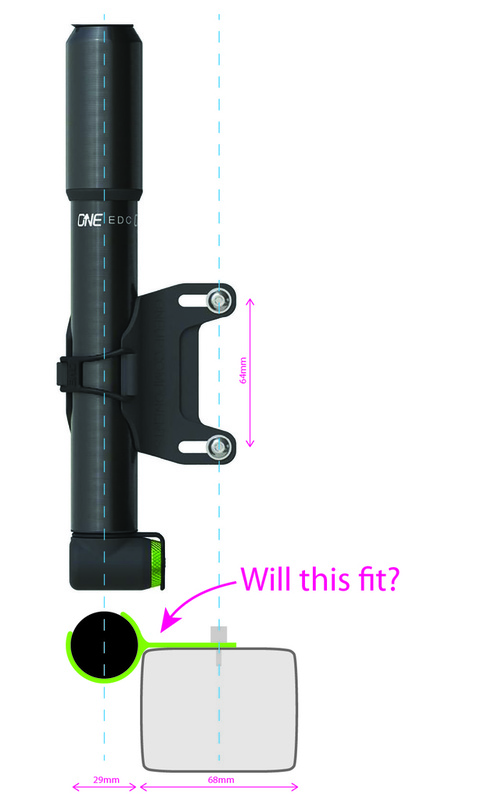 Anybody know if the EDC pump mount will fit on a carbon-framed Trek Fuel EX? Bike has a 68mm wide downtube which has a pretty squarish profile cross section. I have been given the EDC tool and steerer kit for Christmas, and on the tool's packaging the outline of the pump is shown 1:1. It measures 29mm diameter. Using that and the known spacing of standard bottle mounts (64mm) to scale a photo from the OneUp website of the pump in its mount suggests that the fit will be very close, and I can't find enough decent photos of the mount to work out exactly how the transition between the flat mounting area and the section which wraps around the pump is configured.